The MAD Blog Awards – Thank you! 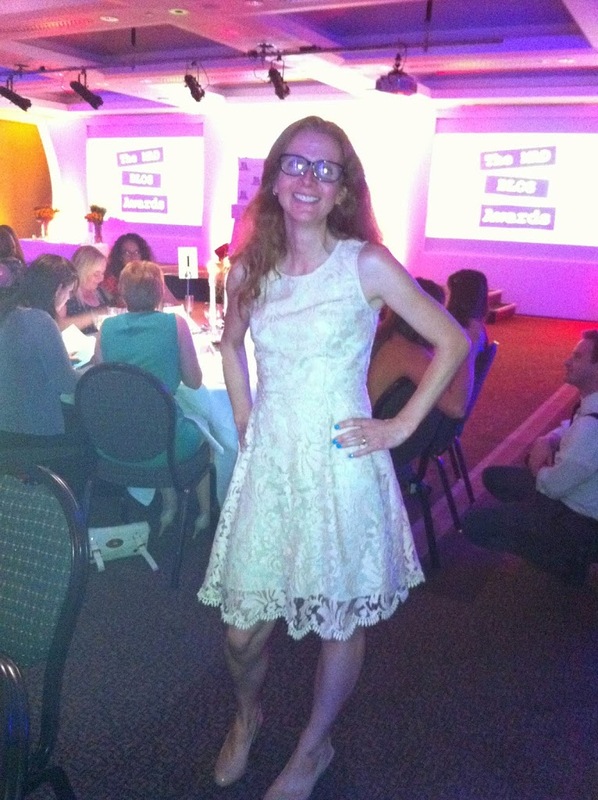 Home » Bloggers » The MAD Blog Awards – Thank you! A few weeks ago, I very politely asked if you would be so kind as to nominate me for the MAD Blog Awards. I was a finalist last year and I really wanted to make it again. A few people told me they’d nominated me in the schooldays category and I was so grateful to them. And just a little bit excited. Could I make it there again? I tried not to build my hopes up. There were 200,000 nominations in the MAD Blog Awards (obviously across all of the categories, not just schooldays! ), so knowing that about 10 lovely people had voted for me wasn’t exactly a guarantee of success. As I got out of the shower last night, Twitter started going crazy. All my friends were much quicker off the mark than me. And I’m very pleased to say that I must have had a lot more than 10 nominations because I’M A FINALIST AGAIN! Thank you all very, very much. I really appreciate you taking the time to nominate me and I am so grateful and excited to be back in the finals. I’m up against last year’s winner, But Why Mummy Why and 2012’s winner Actually Mummy There are also a couple of newbies to the category – there’s Adventures of an Unfit Mother and best of all, one of my very best blogging friends, Suzanne from 3 Children and It. One of the other things Suzanne and I share is readers. Our blogs are so similar that if you like one, you’ll like the other. A couple of people have already told us they would have difficulty choosing between us. Of course I would love to win the MAD Blog Awards, but if I was to lose to Suzanne, I couldn’t lose to a nicer person! The winner of the MAD Blog Awards is decided by a vote. You’ve already got me to the finals by nominating me, now I would like to ask you for a vote if my blog has ever made you smile, laugh or cry. 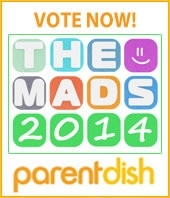 Voting is open now at http://www.the-mads.com/vote/ and you have until 24th April to vote. You can only vote once and can vote in as many or few categories as you would like. Thank you all very much. You have made me very happy. I love this blog and you’re so lovely. I’d love to see you win. Best of luck! Looking fab in your dress! You look great in your dress, you should wear them more often clearly! Dresses are a once a year thing, Judith! Congrats on making the final Sarah and i am really looking forward to saying hi on the night. Many congratulations from us. What a lovely post you have written about your competition. We wish you all the best of luck and look forward to meeting you on the night. Congratulations! So happy for you and well deserved! I am so excited to meet so many of my fav bloggers in September it’s going to be amazing. Huge congratulations Sarah, and best of luck in the voting – looking forward to seeing you – and a new frock? – in September! Thanks very much, everyone. Really looking forward to the finals and meeting up with my fellow finalists. Do I really have to have another new dress, Sally?! Yes, done, now fingers crossed for you x. Thanks very much, Lesley, really appreciate that!